Last month’s massive power outage may have led to more backyard cookouts than the Fourth of July. As 50 million Americans struggled without electricity, hundreds of thousands of residents in all-electric homes likely noticed that neighbors with propane appliances – from barbecue grills to stoves and generators – were able to maintain domestic activities with some degree of normalcy. Yet propane supply issues once again threaten to bite propane dealers should bitter weather strike this winter. Summer fills remain a tough sell to consumers, and industry experts say that too few marketers have invested in adequate on-site storage despite favorable new tax benefits and memories of last year’s terminal bottlenecks. “The dealers are the same as always; they’re going to miss the boat and start crying. They’re very short sighted,” says industry consultant Dennis East of Vicksburg, Miss. East sold his tank manufacturing firm, East Fabricating Co., to Trinity Industries in January. A 90,000-gallon storage tank arrives at Niagara Energy’s new terminal in North Collins, N.Y. The 367,500-gallon underground storage facility was designed by Superior Energy Systems in Columbia Station, Ohio. Ever since a study prepared in 2000 for the National Propane Gas Association identified a shortage of bulk plant storage capacity and warned against dependence on “just-in-time” delivery practices, industry officials have been pushing marketers to add storage to alleviate mid-winter supply bottlenecks. 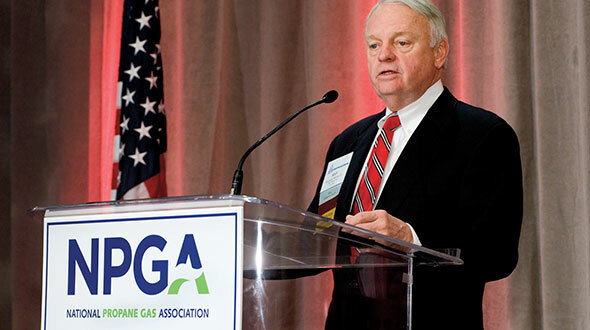 NPGA advises they carry enough storage to handle 14 days of peak demand. While tank manufacturers say response has been sketchy, some propane firms have heeded the call. In May, Inergy bought rights to ship and receive tank cars at a Montreal rail terminal, opening wholesale opportunities in a region traditionally served by heating oil. “You can never have too much inventory storage for any type of energy. 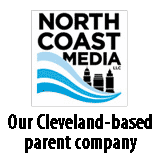 We all saw that during the power outage,” says Steve Ashcraft, vice president and general manager of the Eastern Shore Gas Co., based on Ocean City, Md. The retailer recently bought four 60,000-gallon storage tanks from Total Energy Corp. in Croton Falls, N.Y. The new federal tax law changes were a happy coincidence, Ashcraft says, but the main goal was to buy early and have plenty of propane on hand going into the winter. “You have to have backup for your backup. We see that’s going to be the name of the game in the future,” he contends. The fast-moving meltdown of the nation’s electrical power grid – an event the utilities said could never happen – confirms the importance of sufficient onsite storage. 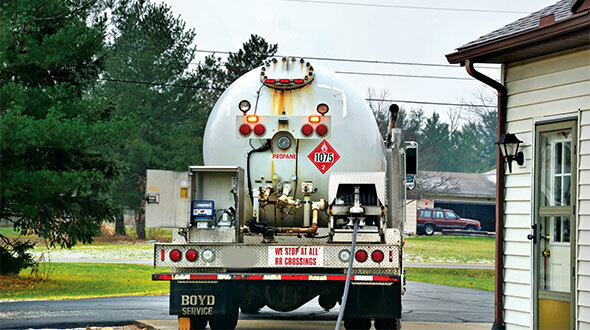 Waiting until the winter rush brings into play too many unpleasant variables within the propane supply chain. Three 62,500 gallon storage tanks lined up for unloading. Disabled refineries, delayed rail car deliveries and long lines at terminals are all consequences that Eastern Shore seeks to avoid. An executive with a leading tank manufacturer, who requested anonymity for competitive reasons, says too many propane dealers wait for the price to drop – and it doesn’t. “The others are buying propane left and right, knowing that the price is not going to drop,” he says. Tank manufacturers are at a loss to explain why more marketers aren’t taking advantage of new tax incentives that favor these types of purchases. “We’re all disappointed that we didn’t see the response we expected, especially after last year’s cold winter and the problems they had,” the executive says. 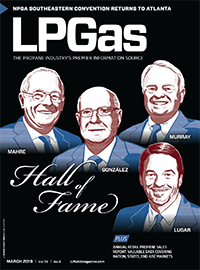 Some propane marketers have added 30,000-gallon storage tanks. The most prominent buyers were smaller independents among the Top 50, according to tank manufacturers. Leased rail cars for onsite storage has recently become a more attractive option for an increasing number of retailers, according to an executive at a major railroad tanker supplier. “Typically, the need for LPG tank cars comes in September and October, and now we’ve seen it start in July,” he says. 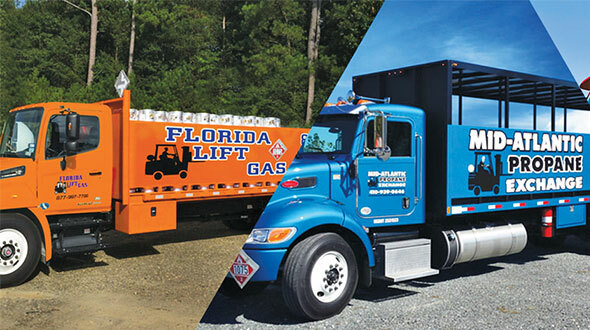 The introduction of a portable unloading device has made propane rail cars easier to handle at their destinations, according to Mike Ohorodnik, director of chemicals business development for CSX Transportation Inc. in Jacksonville, Fla. Known as BTU Direct, the CSXT and TransFlo Corp. network covers 23 eastern states. The operation “can quickly respond to be where customers need us, when they need us, without incurring the capital costs associated with fixed-plant rail facilities,” Ohorodnick notes. The stimulus tax bill, officially called the Job Creation and Worker Assistance Act, allows propane marketers to take a 30 percent bonus depreciation – for a total of 50 percent the first year – on capital expenditures for certain types of equipment, including storage tanks. Four crawlers position a 62,500-gallon propane tank on its piers at Niagara Energy’s new storage facility. “When you lay those numbers out it’s quite an attractive program,” says Don Wallace, sales manager of storage, truck and transport vessels for Trinity Industries Inc. in Dallas. The company has sent out mailers and undertaken other marketing efforts to promote its benefits. “We’re going to increase our presence. We’re trying to make sure the propane dealers are aware of the tax incentives,” Wallace promises. 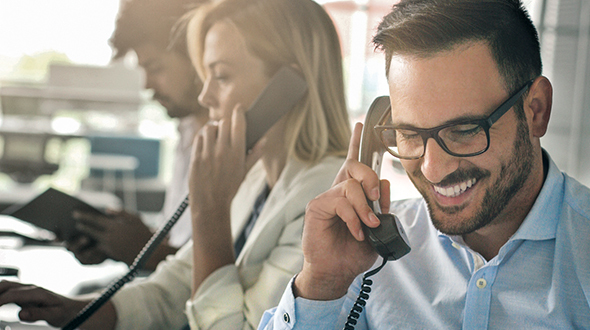 Robert Armentano, president and chief executive officer of Total Energy, says the tax incentives come at just the right time for the industry. “In the long run it’s going to be very good for the propane industry because the propane industry is under-stored. This will help reduce price spikes and spot shortages,” he says. Since January, Total Energy’s sales of used tanks have reached record levels. Some 260 tanks have been sold, ranging in capacity from 30,000 gallons to 95,000 gallons. Sixty percent are slated to be used in propane operations. All five tanks sitting in their saddles. The underground storage system will offer rail car load/unload capabilities, two transport stations and two bobtail load racks. The trend can be attributed to a combination of the new tax law, last year’s cold winter and this year’s current high propane prices, Armentano says. Niagara Energy LLC of North Collins, N.Y. is building a 367,500-gallon storage facility and rail terminal due to open Sept. 1. The site features double-spur line that accommodates eight tank cars, two transport stations and two bobtail load racks. Transport trucks can be freed up for local use and scheduling can be made more efficiently during crisis periods of harsh winter weather, Renaldo explains. “Hopefully by railing our product in it will reduce some of the stress on the roads,” he says. On the retail side, storage has been increased considerably at the North Collins Cylinder Gas Co. Inc. plants. A marketer who pre-buys and stores product for future use may be a step ahead, according to Trinity’s Wallace. “According to my industry sources, the supply of propane could be very tight this heating season,” he adds. “There’s some hesitancy to make commitments now, but to me that’s a bit of a gamble” to wait until the snow starts flying.